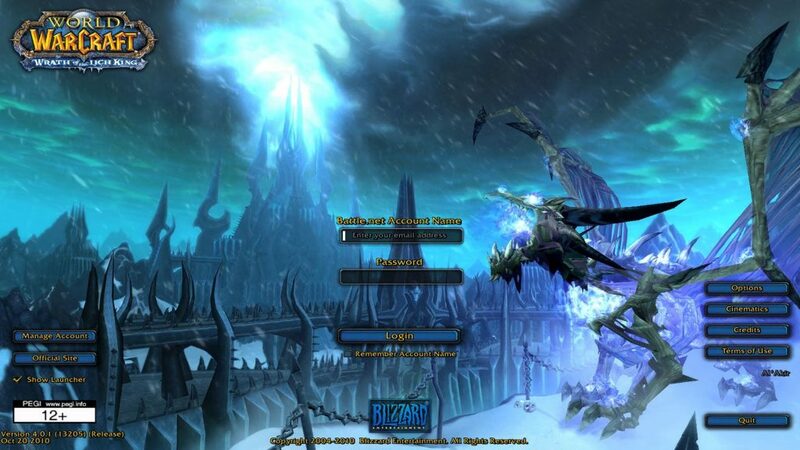 Found a WotLK private server to play on and need to download the client to get started? Look no further!We have compile a list of multiple download options for users to be able to find the best options for them. The information below is considered no longer relevant and is left for archival purposes. Here we have a guide to not only downloading but also configuring it to connect to your private server. Remember, don’t use the launcher to start the game, make sure you use Wow.exe inside the World of Warcraft folder otherwise it can start updating the game and making you start all over. You can find the original client full download on FilePlanet, a much safer alternative than using a torrent which could have been modified in some way. The client comes in a zip file, you can use a built in zip extractor or a third party program such as 7zip. Remember where you installed the game as we’ll be going there later. When the installation finishes it will begin to try and install newer patches of the game, make sure to cancel this immediately to avoid any issues. Additionally, you should delete the desktop icon that was created as it will run the launcher instead of Wow.exe as noted above. Browse to the folder where you installed the game, from there go into Data and then there should be a subfolder based upon your language such as enUS or enGB. For example in my case it’s: D:\Games\WoW 3.3.5\Data\enUS. Delete everything and add the realmlist information for the private server you’re wanting to play on. Now that you have the game installed and the client setup properly you need to update the client to the version that almost all private servers use. To update to 3.3.5a you will need to start with this page that lists all the patches that were made during WotLK and provides mirrors for you to download them. As a note, patches must be applied in order from lowest version to highest. 5) All done! Fire it up (with Wow.exe) and get playing! Assuming you’ve already registered an account at the server of your choice, you should be all set to launch the game and get going. So cannot get the installer to work, says that it cannot initialize streaming. Tried contacting wbesite about it but i can’t enter anything in. Anyone have any ideas? Added in some additional options for downloading the client. That sounds like you’re doing updates from the Blizzard server instead of manually. Can you double check step 2 and let me know if you canceled as is mentioned. Also did you use Wow.exe instead of the launcher? I am having the same problem as cody. It isn’t the updates not being cancelled. It is happening when you are actually installing it after downloading and unzipping. The problem is installing WotLK is not possible anymore or something like that. I’m prty sure the problem is within Installer.mfil file , which contain string: “manifest=http://us.version.worldofwarcraft.com/streaming/installer/8874patch3.0.1/enUS/Installer.UNIV.mfil” . 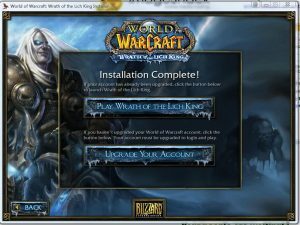 I guess the problem is with this us.version.worlfofwarcraft.com link cause the installer uses that link to fetch patch data and stuff from it. Is there any chance you could upload EU/GB version of WotLK client ? Thanks. Impossible to initiate the game on a Mac. I have downloaded about 10 copies and none work. Granted, they all seem to be designed for and by warmane. I have downloaded other game types other than WotLK and they work fine. Hey Brett, can you try out this guide from Dalaran WoW and see if it helps? They are magnet links, so you need either a torrent client or to use something like Bitport (and right click, copy link into Bitport) for them to work. We added a bit more info above to help. can i use this for mac os x ? They can also use Bitport.io, it’s a cloud based torrent client.